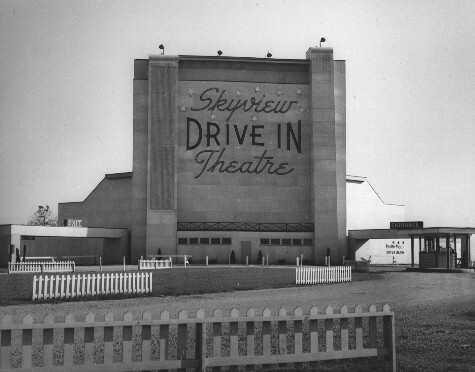 The Skyview Drive-In opened for business on July 8, 1949. In 1953, with the advent of Cinemascope, wings were added to the screen to handle the wider picture. 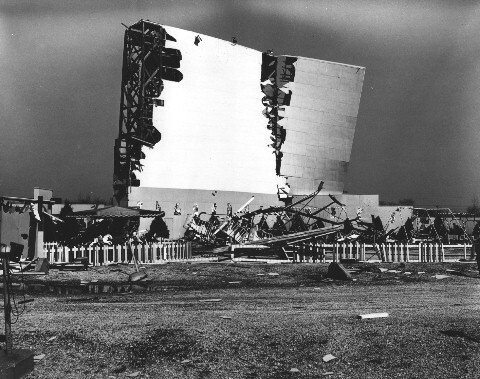 But in the spring of 1955, a tornado destroyed the wings and caused extensive damage to the playground. 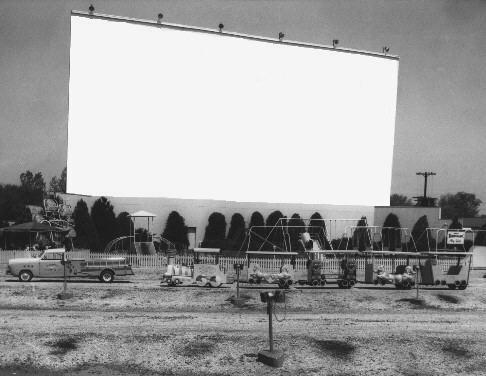 The screen and playground were rebuilt better than ever, as seen in this picture from the late 1950's. To see any of these pictures (or the two above) larger, just 'click' on them. 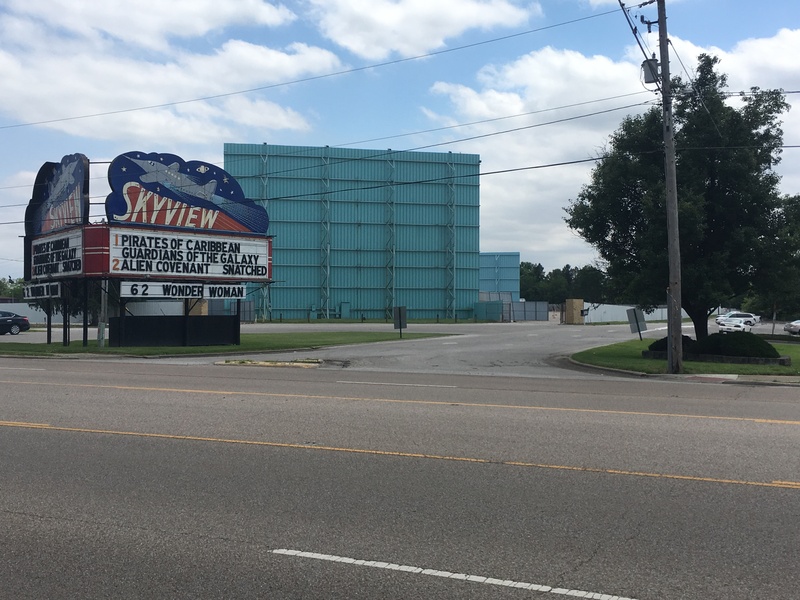 One characteristic that this theatre was truly known for was its bright pink paint job. In fact, this distinct color of paint was so original, it was actually named "Bloomer Pink" by the company that supplied it. 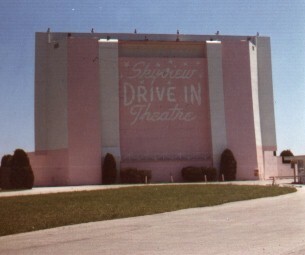 This is how the drive-in looked all through the 60's and 70's until June of 1981. 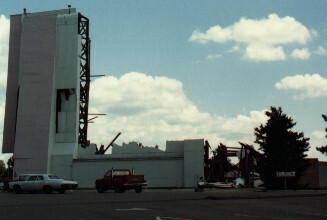 This is another shot of the screen as it appeared until 1981. 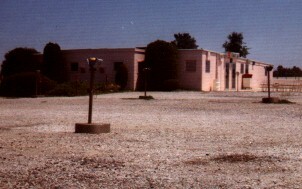 The projection booth/concession stand as it still stands - sans pink today, of course. 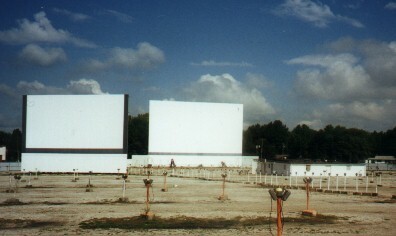 The drive-in fell victim to another storm, a windstorm in 1981, which took down more than half of the screen. The tower was starting to get old, and the wood had started to rot. 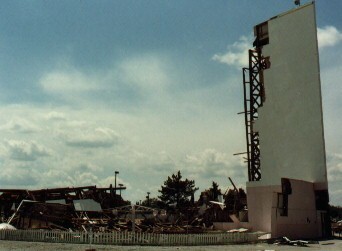 Again, there was extensive damage done to the playground. 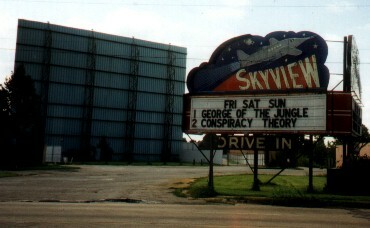 The screen was rebuilt as well as the playground, but this time, a second screen was added to the back portion of the theatre in the summer of 1982. For the first time, this made it possible to have two main features. 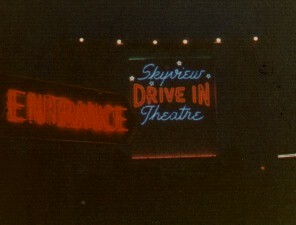 Now, each screen shows a double-feature per evening. The sound has been converted to a broadcast system which the listener may now tune in on his or her own car stereo. Many people have also found it quite convenient to bring a portable stereo and sit out in their lawn chairs in front of their cars. 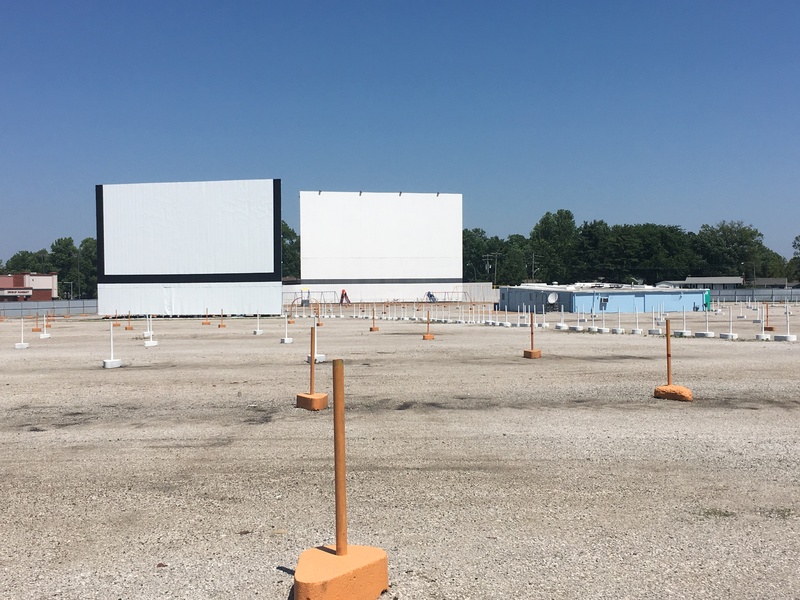 The drive-in today. Pictures taken September, 1997. Update: Pictures taken May, 2017.